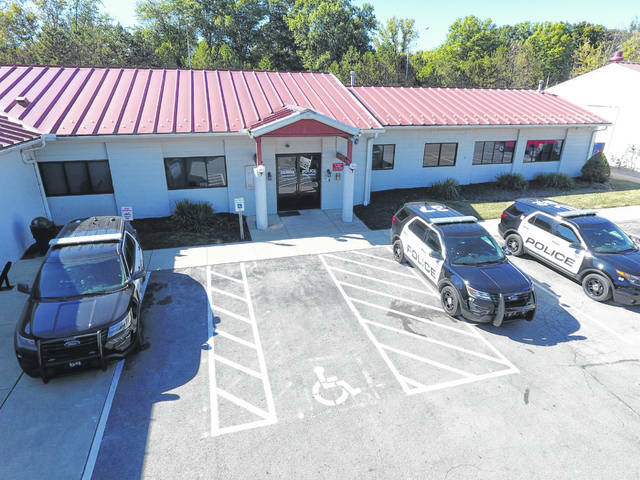 A photo taken by drone of the existing Genoa Township police facility, which is shared with the Fire Department. 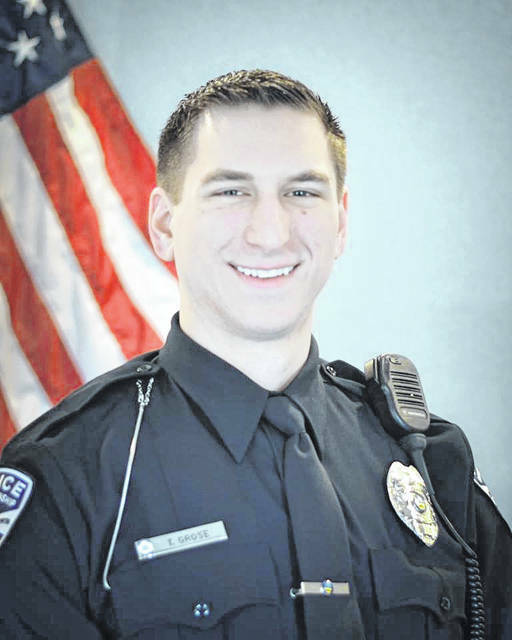 Genoa residents can expect to see a 0.8-mil property tax bond levy on the November 6, 2018 ballot for the construction of a new facility to house the Genoa Township Police Department. Among the complaints with the current building is a unisex locker room, not ADA-compliant, water and sewage leaks causing mold, no training room, storage space full, insects and rodents, narrow hallways, inefficient heating and cooling due to lack of insulation. The 10-year bond levy would raise up to $7 million to construct a new facility. The township said a home valued at $300,00 would expect to pay $7.03 per month. The department is allowing interested parties to take a virtual building tour to review existing conditions (https://www.genoatwp.com/departments/police/virtual_building_tour_to_review_existing_conditions.php) or tour in person by calling 614-568-2060 to schedule an appointment. The Township has acquired a parcel of land on the northwest corner of Big Walnut and Route 3 as a possible site for a new facility, should residents approve the bond issue. The current facility is at 7049 Big Walnut Road, Galena. Trustee Connie Goodman presented the following motion at the January 18 trustee meeting: “I move to commission the Police Advisory Committee to assist the Genoa Township Police Department, the Township Trustees, Fiscal Officer and staff to research and make a recommendation to the Trustees on the physical location, and design of a new Police Station, and the best financing options to construct the facility. It is recommended that the committee commence meetings immediately, and present their findings to the Board of Trustees at their April 5, 2018 meeting.” The trustees voted unanimously to approve. At the April 20 Trustee meeting the Trustees unanimously voted to: Build a new police station with the final design and size to be determined; purchase the land on the N/W corner of SR 3 and Big Walnut owned by the Casto Corp where they had previously proposed putting in a CVS (this site will be considered for the location of the new station with the final site to be determined); put a bond levy on the November ballot to finance the new station with the final terms and millage to be determined. 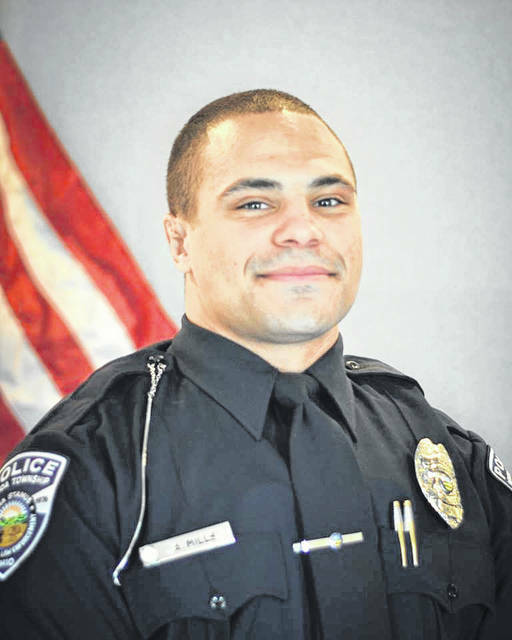 Spencer Allen, the newest full time police officer, was hired in July. 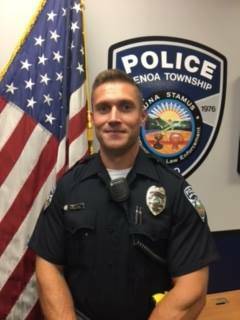 Spencer is a lifelong Westerville resident and graduated from Westerville Central where he played quarterback on the football team. After high school Spencer volunteered to serve his country joining the Marine Corps and served in combat in Afghanistan. 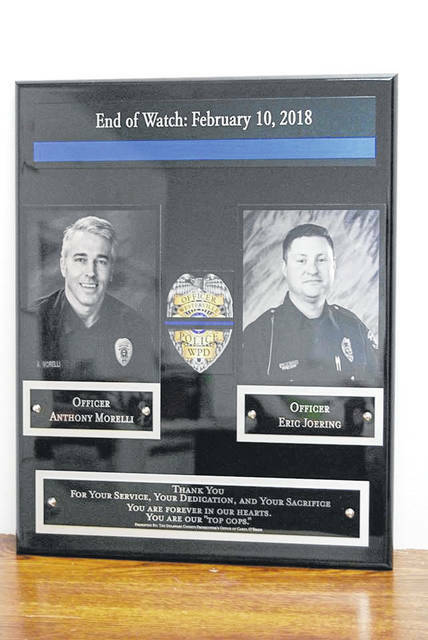 Spencer’s father, Gary, is a long time Westerville police officer and his mother is a preschool teacher. 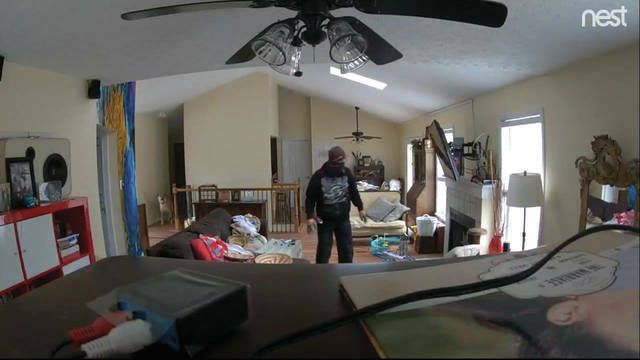 In March, Genoa assisted in arresting two burglars in a Columbus hotel who had stolen televisions from homes on Worthington and Jaycox roads in March. Also in March, the annual Cram the Cruiser event held at the Kroger on Maxtown Road collected 2,877 pounds of food, which will provide 2,397 meals to families in need. 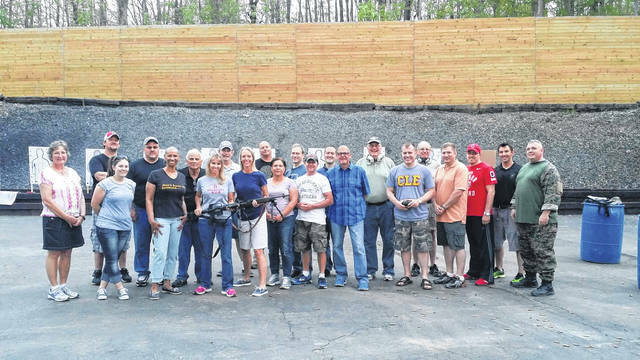 “We also want to thank Delaware County People In Need, Kroger, the Genoa Township Citizen Police Academy Alumni Association and Trustees Gebhardt and Goodman, for volunteering to help with this event,” Lieutenant Rich Lyon said. 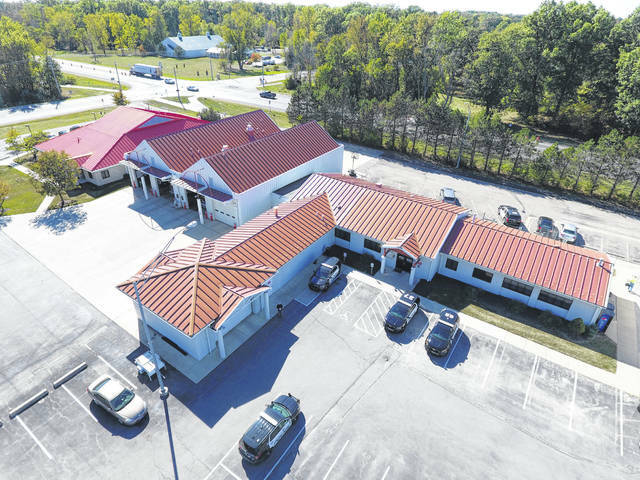 https://www.sunburynews.com/wp-content/uploads/sites/48/2018/09/web1_DJI_0109.jpgA photo taken by drone of the existing Genoa Township police facility, which is shared with the Fire Department.